All my publications are available as Kindle Downloads and most also as physical books. This book was written while sitting close to the Bodleian, the Sheldonian, and the White Horse Inn. The chapters are as much reflections as anything else. They all take their starting point from some observation or Oxford experience, but often end up somewhere else entirely. Oxford is about thought, and this jumble of streets and colleges and people always makes me think. And any visitor, either in reality, or through the pages of this book, should come prepared to join the game. What this book is not, is any kind of formal guide book. There are lots of those already and any will provide the visitor with the requisite background and maps to be able to spend a lovely day or two in Oxford. If this book is about anything, it is what Oxford does to your soul; how it gets under the skin and lingers long enough to change you. It has been doing this for centuries to its students, but it also makes a fair attempt with its casual visitors too. It is hard to leave Oxford unscathed and unaffected by what you will see and feel there. It is a special place as well as being completely absurd; it is absurdly beautiful as well as being absurdly traditional; it is ancient and long dead as well as being as alive as its thousands of young students. 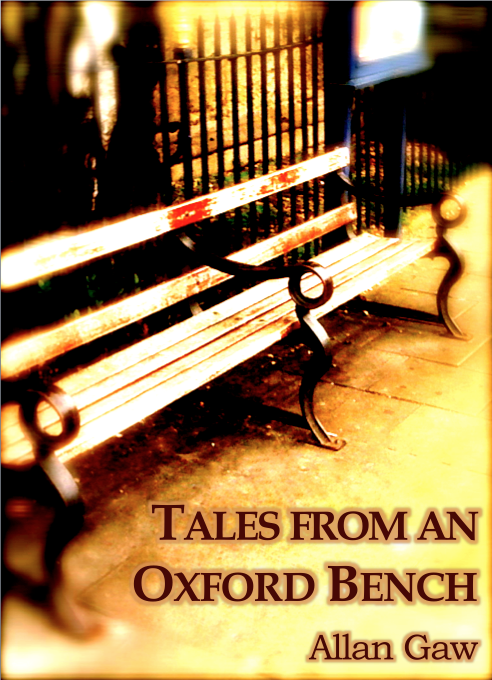 The tales from my bench that I recount here are an eclectic bunch. There are obvious stories that you will hear on any walking tour of the city’s sights that I don’t even mention. As I said, this is not a guidebook. Instead, I have concentrated on those odd moments and small discoveries that have made me stop and think and that along the way allow me to paint a truer portrait of the city than any formal guide. As a scientist, who has concerned himself with discovery for many years, I have often found meaning and inspiration in what I have seen in Oxford. Equally, I have found puzzles and child-like wonder. If you already know and love Oxford, perhaps you will hear these tales in the voice of an old friend—a kindred spirit; if you are a newcomer, or have yet to walk along Broad Street or peer through dark gateways into sunlit quads, then these stories may bring the city to life for you. Whatever the case, I hope you enjoy sitting on my bench as much as I have. It is an essential professional skill to be able to write well. All scientists have to communicate their work through papers, reports and abstracts and they need to acquire funding through carefully written grant applications. However, many scientists feel daunted by the prospect of writing. They do not know where or how to begin and they struggle to keep going to the task is complete. This book is for the daunted. It begins by emphasising the importance of being able to write effectively and addresses the commonest problems encountered by writers. It offers strategies to get started and to overcome any fear of the blank page. It goes on to provide strategies for generating text, editing it and considering its style. The book is packed with useful advice and tips to help any writer overcome their fear and dislike of writing and to become more effective. The book also includes a extensive list of useful further reading, viewing and browsing. Many people find writing a daunting experience, even if they are required to write a lot in their professional lives. Often the reason for this is their lack of confidence when it comes to basic grammar and punctuation. It’s not that they think they cannot write, but they fear they cannot write properly. The author of this eArticle has been teaching professional writing skills for many years and has developed here a short, highly accessible guide to the main problems that trouble would-be writers. How should you deliver a presentation? With ease, or at least with ‘E’s. There are seven key ingredients to any effective presentation and conveniently they all start with the letter ‘E’. If you use these ingredients when designing your presentation and when you are delivering it, you will go a long way towards your goal of giving an effective presentation. This e-book will take you through these seven Es and provide you with and effective recipe for success. It has been said that modern pharmaceutical regulation was ‘Born in Scandal’. Frances Oldham Kelsey, a Canadian born pharmacologist and physician, found herself at the centre of the two greatest drug scandals in the United States in 1937 and 1961. These scandals gave birth to major reforms of the US legislation controlling pharmaceutical development and strongly influenced the statute books of every other country on the globe. This e-Book tells the fascinating story of these scandals, traces their development and describes Kelsey’s role in each. The text is fully referenced and is illustrated throughout. If you believe that we have anything to learn from history, or if you merely wish to follow the path that has led us to the present, you will find this short book both interesting and enjoyable. What can we learn from the past that may be relevant to modern clinical research? 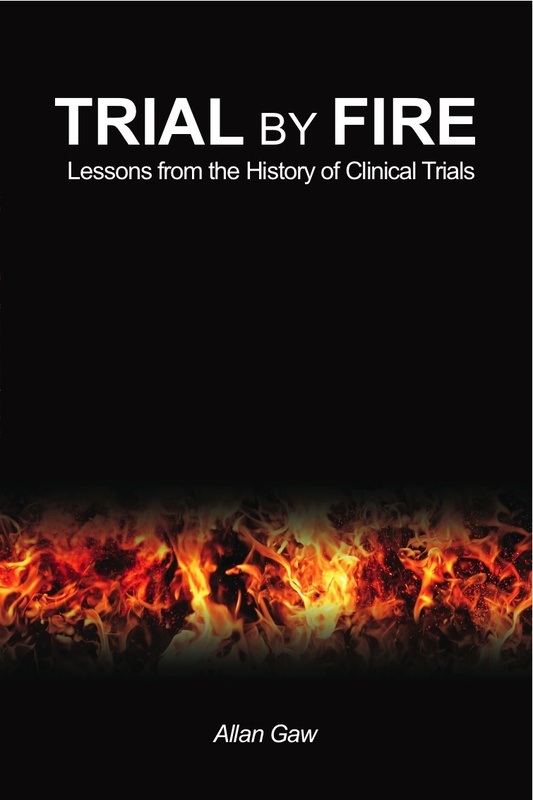 In this book Allan Gaw draws on the experience of two decades working in clinical trials to show how the past can illuminate the present and help us understand our current position. In a series of intriguing stories that take us from Babylon and Ancient Egypt, to Europe in the 17th and 18th Centuries, and on to the concentration camps of Nazi Germany, and the US in the 60s and 70s, he demonstrates the origins of randomisation and blinding in clinical trials; the importance of consent, trust and codes of ethical practice; and the crucial importance of publication. And he shows us where it may have all begun. 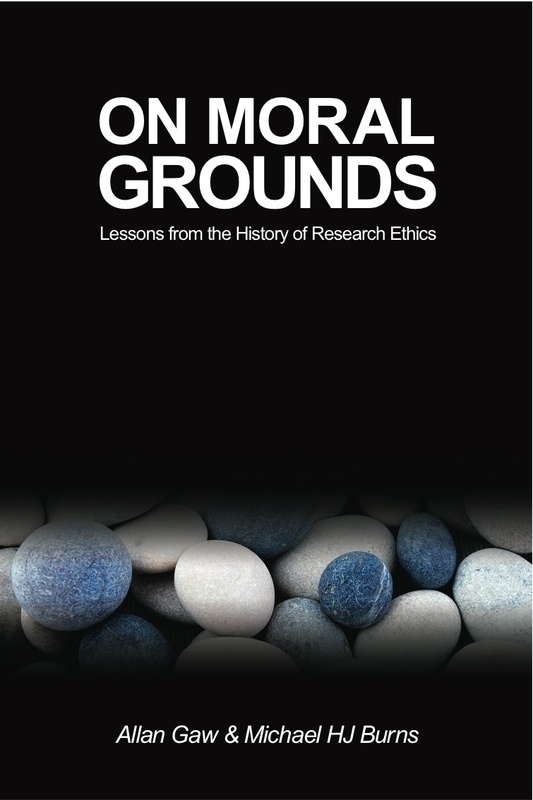 What can we learn from the past that may be relevant to modern clinical research ethics? In this book Allan Gaw and Michael Burns show us how the past can illuminate the present and help us understand where we are and how we have come to be here. The authors present a series of intriguing stories that take us from a ship in the Royal Navy in the mid 18th century to a backwater in the US in the early 19th century and on to Cuba at the dawn of the 20th century, by way of the offices of a Harvard academic and a courtroom in Nuremberg. On this journey through the history of research ethics we are shown examples of the best and the worst. In each case the theme is one that is relevant today and one, which, if we are involved in clinical research in any capacity, we must address. Writing a winning abstract is an essential professional skill, but it is not a straightforward task. Good abstract writing requires a clear, cohesive and, above all, concise approach. This Quick Guide combines a set of simple strategies for abstract writing with a series of practical writing and editing exercises. 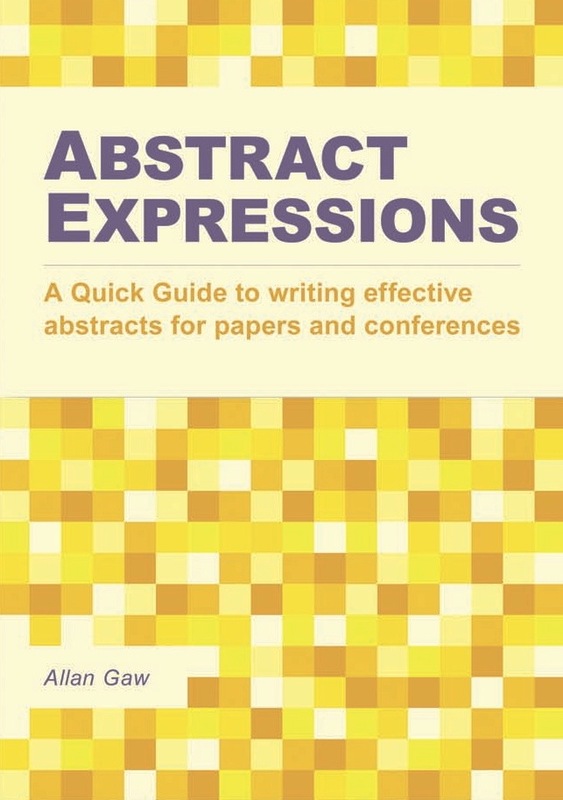 Anyone who is planning on preparing an abstract for submission to a conference or who is working on an abstract for a manuscript would benefit from reading this guide. 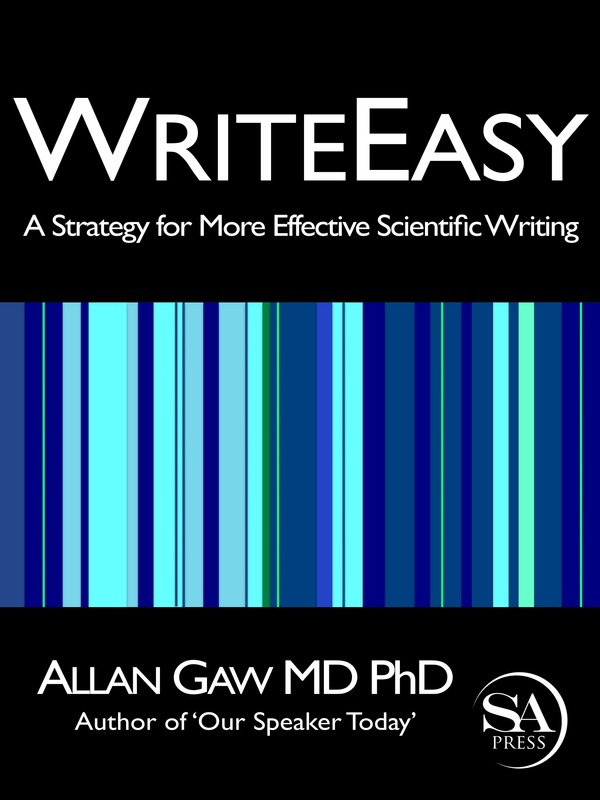 Dr Allan Gaw has been lecturing and giving presentations for over 25 years and thinks that by now he might have learned a few secrets about how it should be done. Having been to Medical School in the early 1980s he certainly gained a very good grounding on how it should not be done. In the last two and half decades he has, through observing the best and by sometimes painful trial and error, developed a simple and foolproof system for the preparation and delivery of a good lecture. 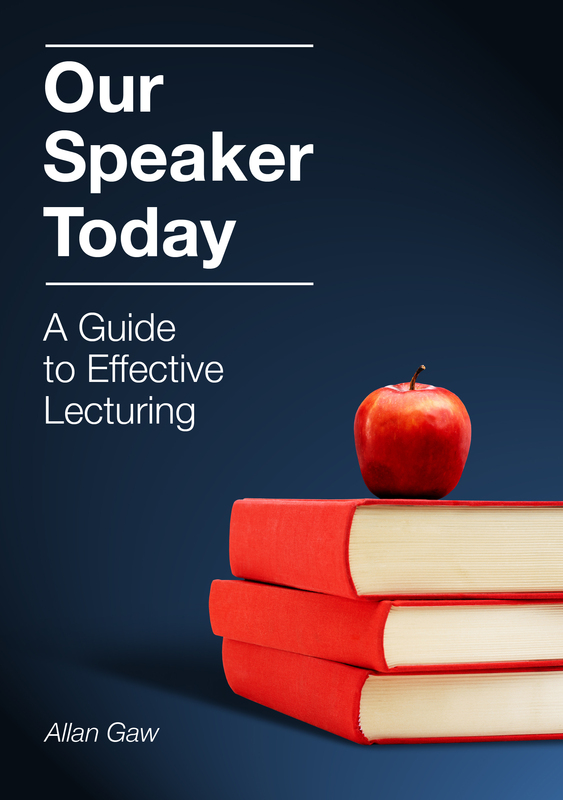 This book presents a distillation of that experience and will be invaluable to anyone having to prepare their first ‘talks’ as well as those who may have been lecturing for years but are still struggling to find it an enjoyable experience. This is a book packed with practical advice and as the, often simple, secrets are revealed the reader will become convinced that it will never be so daunting again. Clinical Biochemistry is about patients – how we investigate their signs and symptoms, how we diagnose their illnesses and how we treat them. 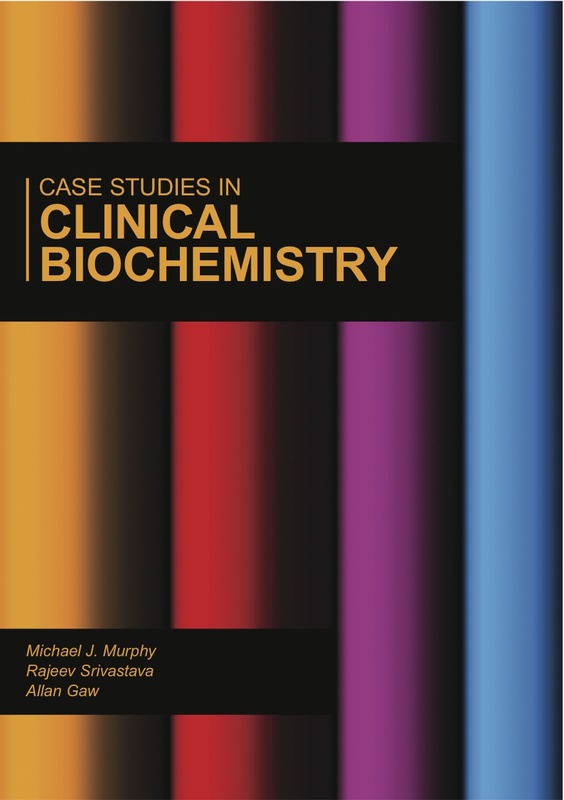 In this book the authors present a series of clinical cases, all based on real patients, and invite the reader to answer key questions using their knowledge and experience of each topic. Each case and its questions are accompanied by the authors’ detailed answers, which can be found by simply turning the page. As such, it is an ideal revision aid for those studying Medicine, Nursing and Biomedical Sciences and for those preparing for post-graduate membership examinations.